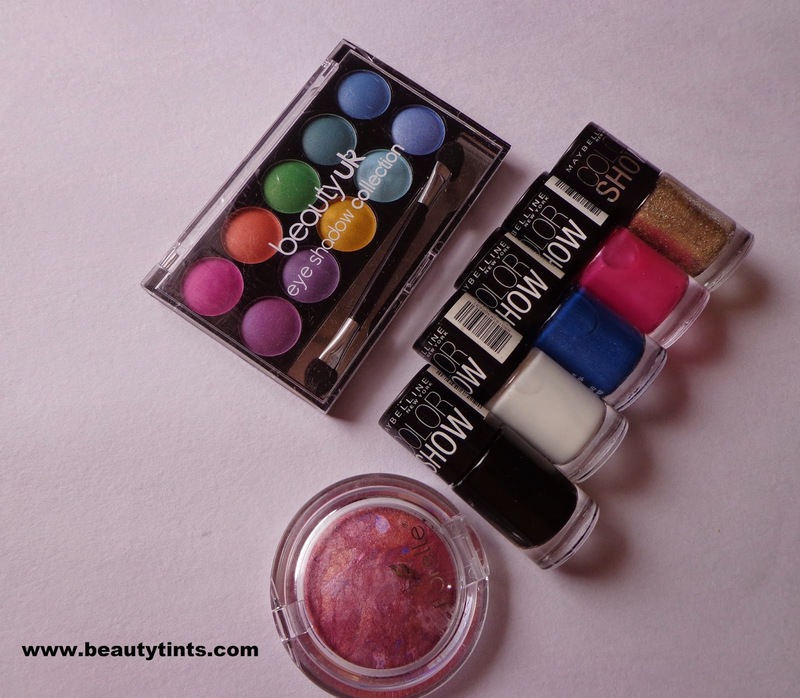 Sriz Beauty Blog: My First Giveaway....Participate and Win goodies from Beauty Uk,Florelle and Maybelline New York !!! 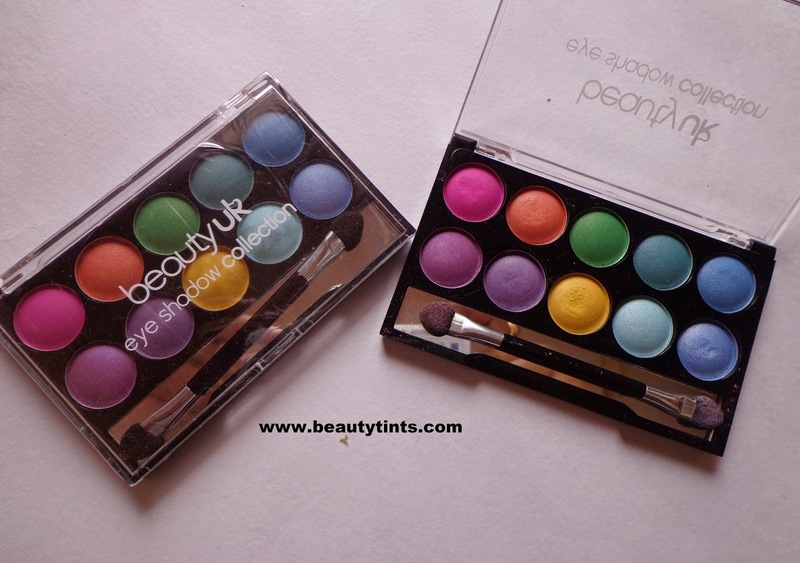 My First Giveaway....Participate and Win goodies from Beauty Uk,Florelle and Maybelline New York !!! As Sriz Beauty Blog completed 6 months ,I would like to hold on a Mini Giveaway for my lovely readers :) I will surely give a major one when it finishes One year! The rules are very simple for this giveaway just finish any 3 options mentioned below and you could win these exciting and colorful products!!! 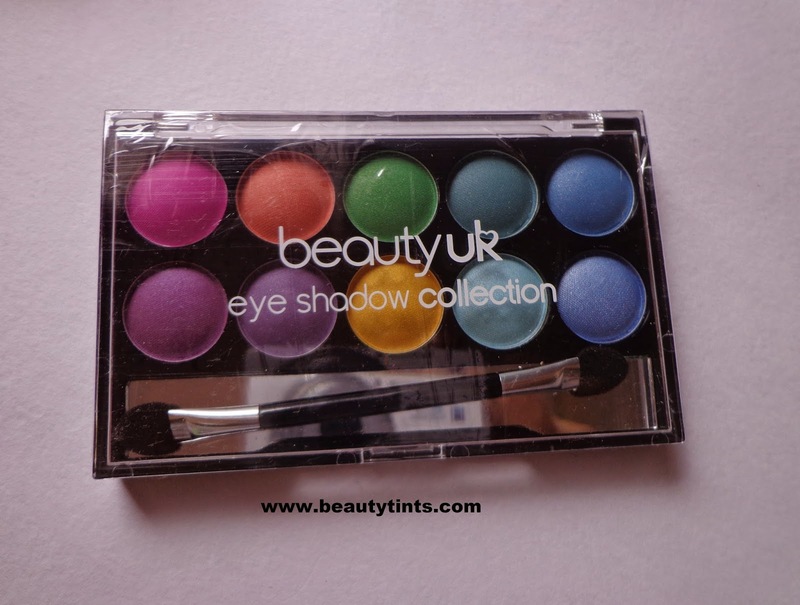 1) Beauty UK - Eye Shadow Palette No 2 -Soho - 1 no. 2)Florelle Wet and dry Blush-Marmorized - 1 no. 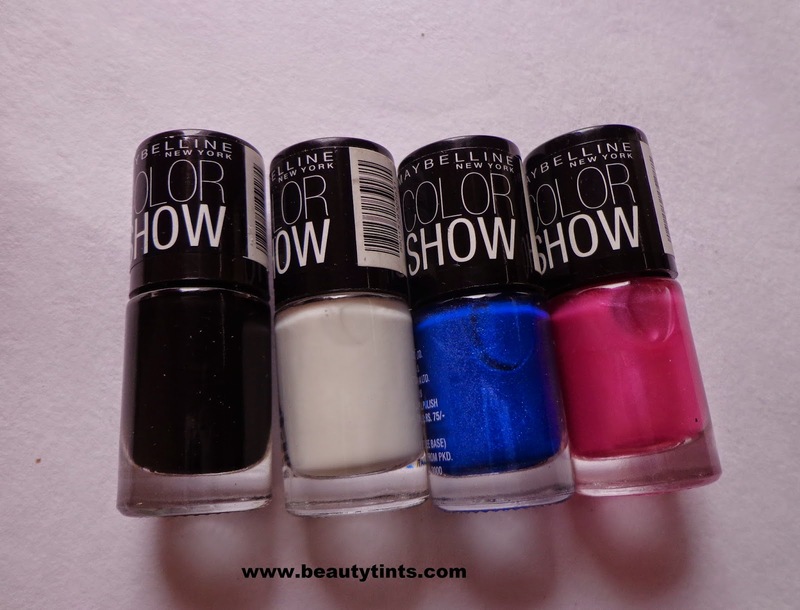 3)Maybelline Color Show Nail paints : 4 no. 4)Maybelline Glitter Mania Nail Paint -1 no. For a better idea I am showing the shades in my palette here. 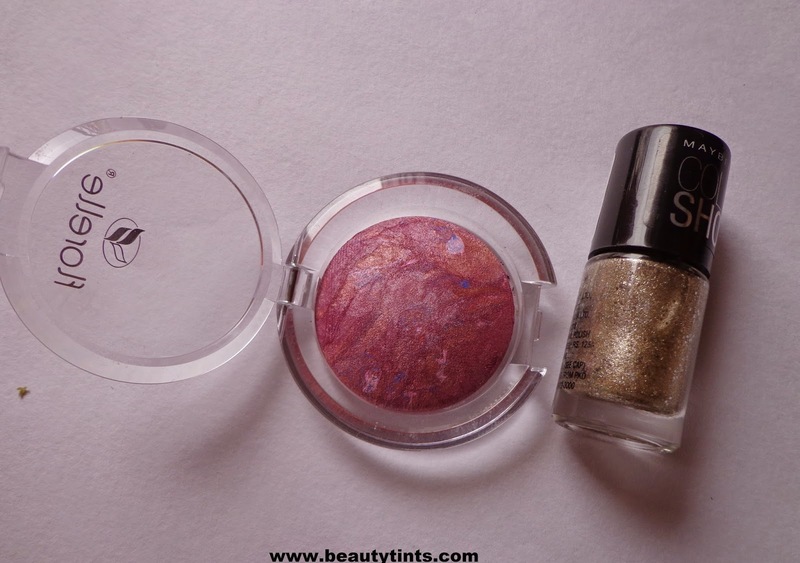 2) Second winner will get Florelle Wet and dry Blush-Marmorized and Maybelline Glitter Mania Nail Paint ( shade as per the choice of the winner).Just for an idea I am showing All that glitters shade in the picture. b)The giveaway is open till October 8th and winners will be announced on October 9th. d)You should complete any of the 3 options from the following to enter into this giveaway! *marked options are compulsory! Note * : For option 5,after subscribing,you will be sent an E-mail with an activation link .You need to click on the link for activation.You should compulsorily do this step to enter this giveaway. Step 2 : Names of your friends whom you joined into fb page___________,_______________. Note : your email Id will not be used or published anywhere so don't worry. For any queries or modification please feel free to mail me at srizbeautyblog@gmail.com or just comment in the comments section below.Those who do not have any Ids for commenting,just select Anonymous and mention your name in the comment.